It was an ordinary day in the cephalopod research center. The scientists were in the Pacific Ocean sending deep sea ROVs to look for Architeuthis AKA the Giant Squid. After a day, they found one. It didn't run away, it instead stayed near the ROV and ate the bait in it's leisure. After finishing the delicious chum, it flashed quickly in an odd pattern and then left. The scientists studied the video and puzzled over the meaning of the flashes. The captain of the vessel, a seasoned old salt, came in while they were replaying the video. "Dang, that looks like Morse code," he said in surprise. Everyone slowly turned to look at him. The chief researcher spoke up, "Impossible. It's just a trick of the light or something." Raising an eyebrow, the captain had them replay the video while he read off the flashes. "H-E-L-L-0 space T-H-A-N-K-S space F-O-R space T-H-E space F-I-S-H and that's the end of the message." A researcher had made notes of the length and duration of each flash, googled Morse Code and was slack jawed when the captain's translation was confirmed. Then all eyes were back on the video of the flashing Architeuthis. You are the crew of the Kraken, a specialist team of deep sea divers and researchers. Your mission is to find "Gabby" the Architeuthis and establish contact with her. (It was determined that the Architeuthis was female.) You take the role of Researcher, Diver, Submariner, Oceanographer, Biologists, or SEAL Team Diver. The divers have Newt Suits for deep sea diving and are their own submarine. Finding Gabby and discovering why she's capable of communication and whether or not she's truly intelligent will be difficult. In competition with you are the forces of a foreign power (pick one) that wants Gabby for her military potential. Undersea combat is possible. Architeuthis is a sentient species. Gabby is a one of a kind mutant. Gabby is not an Architeuthis, but an alien. Gabby is a genetically engineered creation that escaped. The GM can pick one of those and let the story commence. Under the sea is a dangerous place, but unlike real life, the players have a chance to survive and not be squished into human pâté. For the game system, I'd either use Fate Accelerated, INSPECTRES, or my own system, One Page Wonders. Last edited by kedamono on Fri Jan 19, 2018 12:57 pm, edited 1 time in total. Nintendo's "Splatoon" games are actually set in a late post-apocolyptic setting where humans have long since died off and sea life has evolved, gained sapience, and started engaging in fps antics as sport as well as Tokyo street fashion.. Sorry Kedamono, Zircher, & Triggerhappy - we didn't manage to get the audient ideas into this one, primarily because we were disorganised and only drew the card a few days before recording. They'll be in the next one, Are you Henry David Thoreau? The game itself could be considered a training scenario for the Inklings, they indoctrinate young teenage Inklings into becoming child soldiers by turning turf wars into a hip sport. They use fashion and pop idols to get kids interested in the sport so that they can train for the real combat against the Octarians. Aren't the elder Inklings marvelous? Last edited by kedamono on Fri Jan 26, 2018 2:38 pm, edited 1 time in total. No worries guys, we'll see what you think of our musings in the next episode. OK, he was more of a transcendentalist than reactionary, and advocated "Civil Disobedience" instead violence. An early Gandhi. So, he's not a player character, but more of a "quest giver", the master sergeant ordering his "troops" out and doing missions. Things like freeing slaves from plantations, while not hurting anyone. (Good luck.) Protecting the environment by sabotaging logging camps, coals mines, and the like. And, as a tax resister, doing a Robin Hood and robbing the rich and giving to the poor. All the while not hurting anyone intentionally. That's the trick. It's set in the America of the 1820's, so lots of history and savagery to spread around. It's an alternate world, of course, but one that should be recognizable to the players. I'd use Fate Core, and really emphasize the "Success at a cost" aspect. The cost is, of course, injuring others. Maybe even killing them. That creates campaign aspects of "Ruthless Thoreauvian Thugs" and "Plunderers of Property" that can turn public opinion against them. So they will be forced to safely perform their missions, but at the same time improve their Reputation with more positive aspects. Tis' a pity she's a Whovian. During the whole intrepid-explorers-of-the-heights section, I suddenly got the image in my head of a squid piloting its supermersible along the beach, coming to a halt when it gets spotted by humans, and thinking "If I hold perfectly still, maybe they will lose interest and go about their business." 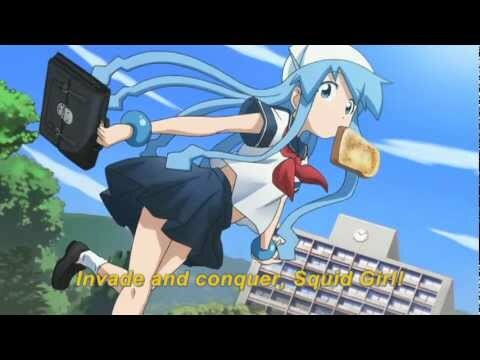 Which probably reflects my inclination that I'd actually be more into playing that game as the squid than as the humans. Although it would be awesome either way. I also wondered if you were aware of DUMAND or any of its successor projects to actually use the sea as the medium for a neutrino detector array. One of the project team scientists was a professor at the university where I did my graduate study in physics. (We joked that he was on the project because it gave him an excuse to go to Hawaii in the winter.) Anyway, he gave a few talks on the project and one of the problems they had was bio-luminescent fish producing false signals. Finally, I would watch the hell out of a cartoon of The Adventures of Squid Boy and Inky. The prompt "Are you Henry David Thoreau?" brought to mind the parlor game Botticelli. I will confess that I then attempted to turn the concept of Botticelli into an RPG adventure. It didn't work. I got as far as a time travel game, where an important historical figure has been ripped from their place in the time-stream and you have to return them to prevent history from being undone. Except you don't actually know which historical figure it is, and you need to figure it out. At that point, I realized it didn't even sound fun to me. So, yeah. To answer the question of what game system to use: Joshua A.C. Newman is your man. He is the creator of Shock: Social Science Fiction, Shock: Human Contact, with Shock 2 and Xenoglyph in the works. http://glyphpress.com/ is his home page. Game Pitch: The Cephalopodic Invasion has begun! 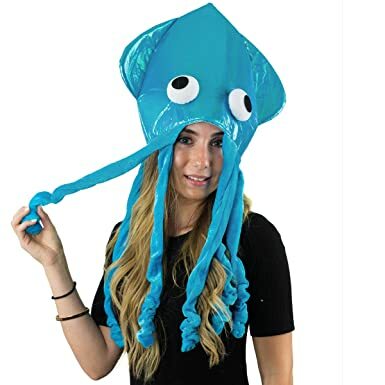 In order to infiltrate and conquer the surface world (and reduce the amount of pollution being dropped on their heads), the Nation of United People (Octopi, Squid, and Nautilus) has genetically modified their fierce shock troopers into spies capable of surviving the rigors of surface life. These cleverly disguised infiltrators (most of which look like Japanese school girls with tentacles for hair) are armed with human knowledge that has been scavenged from shipwrecks and tidal wave/flood debris. Using the latest in game technology, Tentacles and Feelings is a hack of John Harper's Lasers and Feelings. Roll under your number to perform acts of cephalopodic skill (such as spew ink or shell headbutt), roll over your number to understand and blend in with humankind. If you roll exactly your number you have tentacular feelings and the GM will answer some mysterious question and probably complicate your life. kedamono wrote: No worries guys, we'll see what you think of our musings in the next episode. Well, some of your musings. 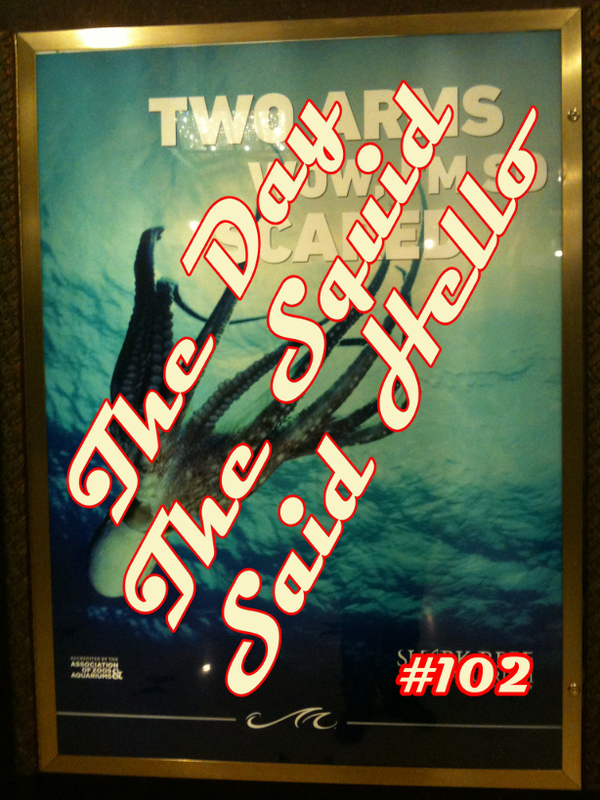 We got the Henry David Thoreau stuff in, but not the Squid content ... that sounded wrong … which will be in the next episode. I'm sorry about that; Combination of time zones & some technical foibles, so that Ben was recording at damn-near-midnight, and coherence was fading.